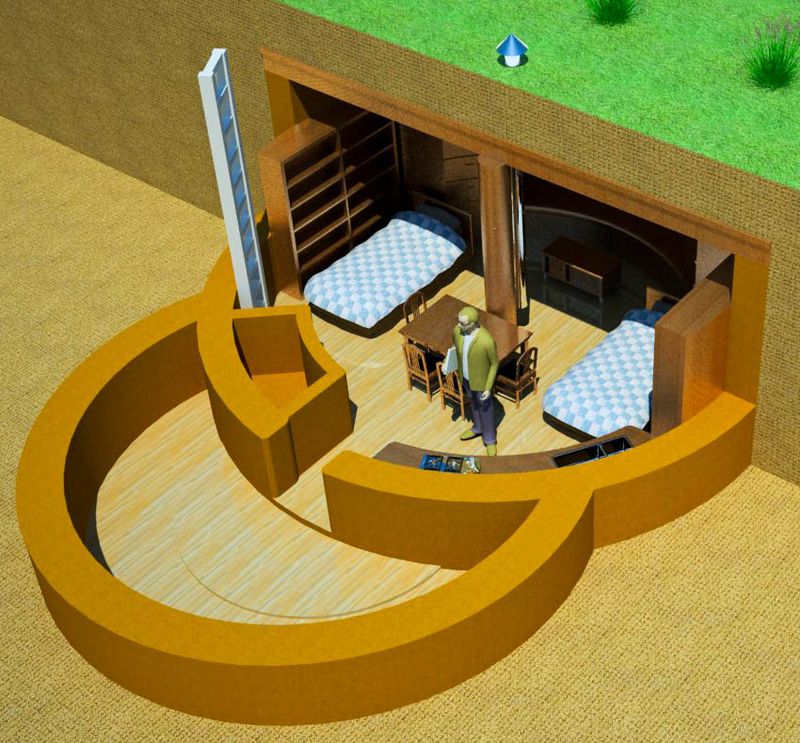 Description: This round earthbag shelter for up to 4-5 individuals is designed for survival through disaster, plague, etc. It is low cost, durable and practical. This shelter is designed for DIYers on a tight budget who will do most everything by hand. Instructions include numerous key details not evident on the plan: venting, roof framing, how to reduce excavation by 50%, drainage, water supply, etc. 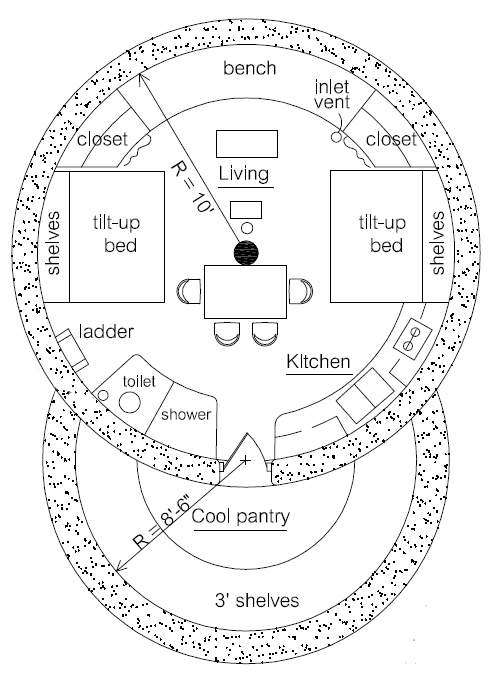 I have not seen a better, more practical survival shelter plan.